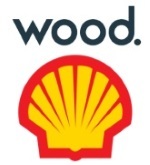 édité le 20/08/2018 - Plus de news de "Wood" - Voir la fiche entreprise de "Wood"
Wood has secured a new six-year contract with Shell to provide asset management services to the Malampaya deepwater gas-to-power project in the Philippines. Wood will provide maintenance services, modifications and shutdown support as part of the contract which covers Shell’s onshore facilities in Batangas and offshore assets in the Malampaya field, near Palawan Island. "This win is a powerful example of a revenue synergy achieved by the combination of Amec Foster Wheeler and Wood Group’s broad capabilities and depth of experience. As Wood, we bring together our successful track record and local knowledge developed from working on these offshore assets and onshore gas plant, and our strong global operations and maintenance expertise. The contract also grows our operations and maintenance business in the region, expanding our footprint in south-east Asia and creating new and enhanced opportunities for the local workforce. We look forward to partnering with Shell to ensure safety and maximise productivity, across the Malampaya facilities." This new contract adds to Wood’s support of the Malampaya project where it has provided integrity management of subsea pipelines since 2001. The company also successfully completed the front-end engineering design, and engineering, procurement and construction of the onshore gas plant in the late 1990s and early 2000s, providing further asset support to the gas-to-power facility under a long-term agreement. The Malampaya deepwater gas-to-power project represents one of the largest investments in the history of the Philippines. It was the start of the country’s natural gas industry supplying clean, natural gas to provide 3,200 megawatts of power to meet about 30-50% of the country’s power generation requirements.